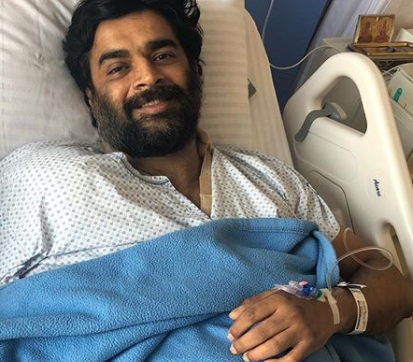 Madhavan confirmed that he has undergone a surgery and is on the road to recovery. t is no secret that actor Madhavan is one of the most popular names in Tamil cinema today. During his illustrious career, he has slowly but surely carved a niche for himself thanks to his sincere performances, raw yet cute looks and of course mesmerising onscreen personality. Moreover, he has won the love of fans thanks to his soft-spoken and amicable nature.Now, he is in the limelight again. As it so happens, he just took to Insta and confirmed that he recently underwent a successful surgery on his shoulder. While sharing this news, he also posted a photo in which he can be seen in his hospital be. “Shoulder surgery done… fighter back on track… cannot feel my right arm ha ha ha,” he posted. We wish Madhavan a speedy recovery and hope that he returns to his normal self soon. On the work front, Maddy was last seen in Vikram Vedha and received rave reviews for his performance. A crime-thriller, it featured him in the role of a cop and did well at the box office. Released in July, it was directed by Pushkar-Gayathri and also had Vijay Stehupathi in the lead. While talking about its success, he had said that he was always confident about the film. “I was very confident about Vikram Vedha. Even during the audio launch, I told everyone that I would talk about the film only during the 100th-day function. I feel YNot is one production house, which does progressive movies for the next generation,” he had said. At present, he has Savyasachi in his kitty. 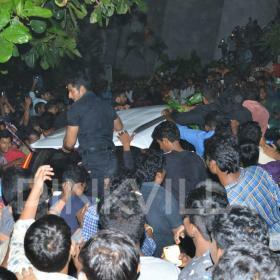 The film is an action-thriller and will mark his T-town debut. In it, he will be seen alongside Chay and newcomer Nidhhi Agerwal. 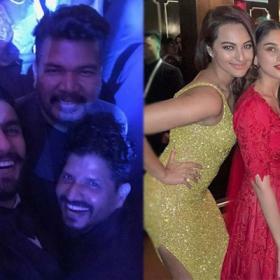 So, are you looking forward to Savyasachi? Will Maddy find success in Tollywood? Comments, please!